Is Photo Organizing Your Next Luxury Service? | Camera Bits, Inc.
Is Photo Organizing Your Next Luxury Service? With the explosive growth in digital photography, all sorts of interesting new jobs and careers have popped up. At Camera Bits, we’re lucky to be able to discover lots of these new professions, hear about what they do, and how Photo Mechanic can help them get their work done. One story that we are hearing more and more about is the rise of the professional photo organizer. This profession involves meaningful work that enables people to preserve family history and relive their best memories. 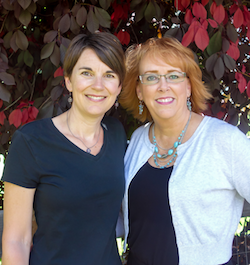 We got in touch with Rita Norton and Sherra Humphreys, both certified photo organizers and members of the Association of Personal Photo Organizers (APPO), who kindly shared some insight into the world of professional photo management. We met them back in 2012 when they discovered us! Tell us a little about yourself and your businesses. Hi Camera Bits community! What the heck is photo organizing, you might ask? We still get those looks but it’s really all about our love of photos and helping people tell their stories…and building a lucrative luxury business! We have a lot more in common with professional photographers than you may think – we both love photos and we love to find and use the best pro tools in our business! How did you find out about Photo Mechanic? OMG, when Sherra found Photo Mechanic in 2012 to help us speed up our workflow with digital photos, it was a Hallelujah moment! We knew it was the software tool we were looking for to do all the things Photo Mechanic fans already know and love. Small world – Rita was living in Portland, Oregon and met Mick at the Camera Bits office in Hillsboro where she introduced Mick to the new niche market of photo organizing. How does Photo Mechanic make your photo organizing work easier? The speed with PM to view, cull, sort, batch rename, date changes, rate…let us count the ways we love it! We formally introduced Photo Mechanic to photo organizers in Dallas in 2014 when we were teaching an intensive at the APPO conference. We also have an online course for photo organizers we call Photo Mechanic 101. What do your photo organizing businesses offer? We offer luxury services and lifetime management of our ideal clients’ photo collections with the end goal to ensure that the photos are preserved and the stories shared. We’ve been inspired by professional photographers and our clients want beautiful family albums that match the quality of their wedding albums. Our clients are busy professionals who want their lifetime of photos organized and their stories shared. They are at a point in their life where their photos are their most prized possession and to enjoy them and their stories with their families are priceless. They usually feel like their photos are “trapped” in their phones and computers and we help bring them back into their lives. How long do you typically work with a client? We love that our clients are long term. Very much like photographers who likely work with clients from engagements to babies to weddings…we do the same thing with photo organizing clients. We help photo organizers! 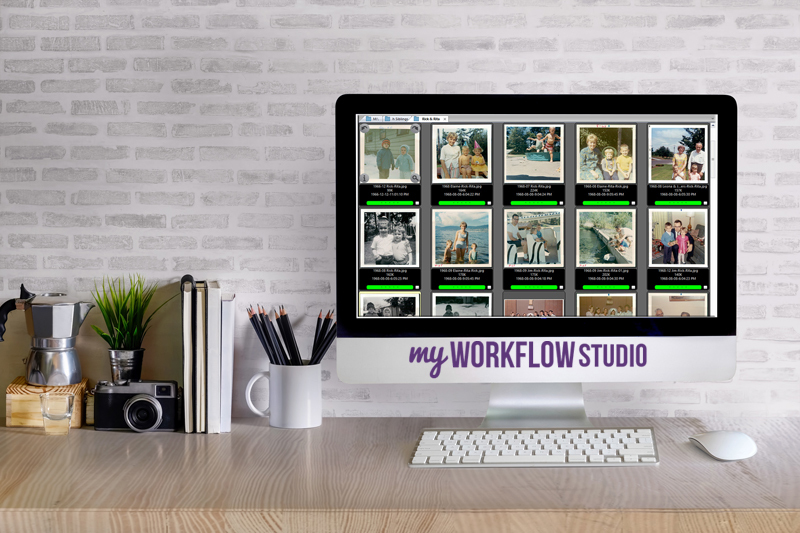 Visit us at My Workflow Studio where we offer premium training and courses to other photo organizers. We also offer a Profitable Photo Organizing course and luxury service business strategy at our sister site S & R Studio. We’d love to help you rock your photography business if you’re thinking of adding photo organizing services!! APPO website for resources, community, and certification. APPO National Conference in March. Camera Bits at WPPI 2018!